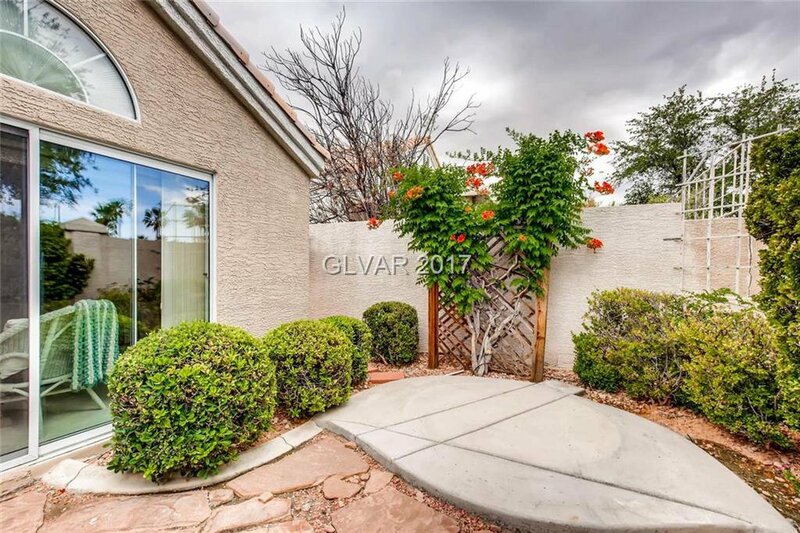 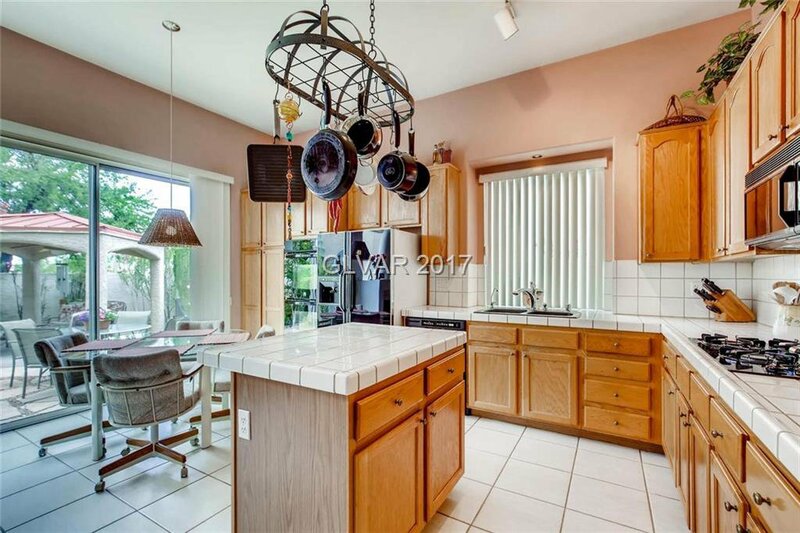 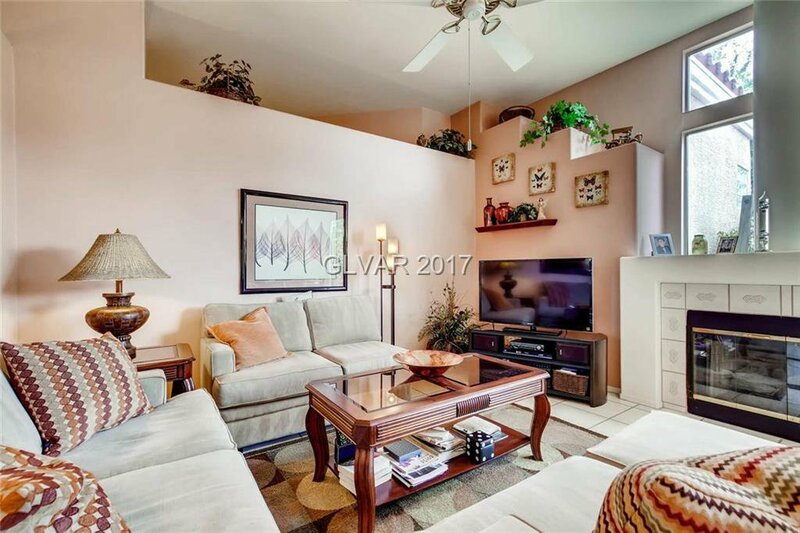 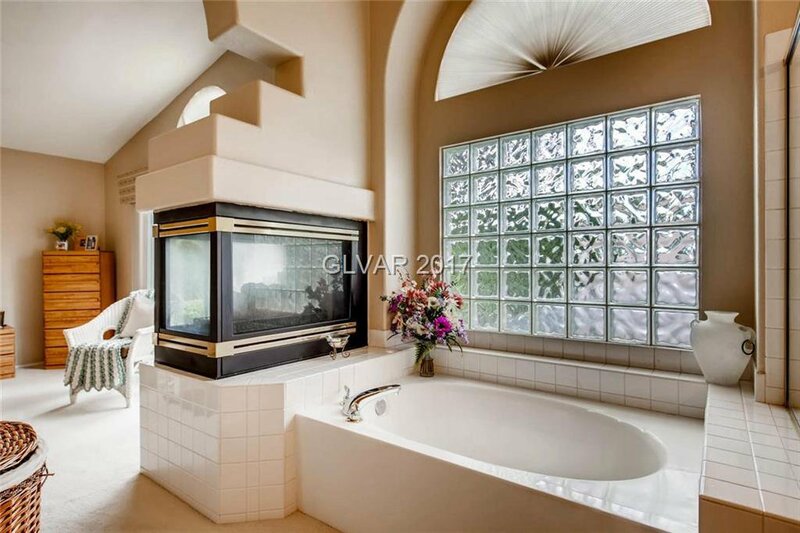 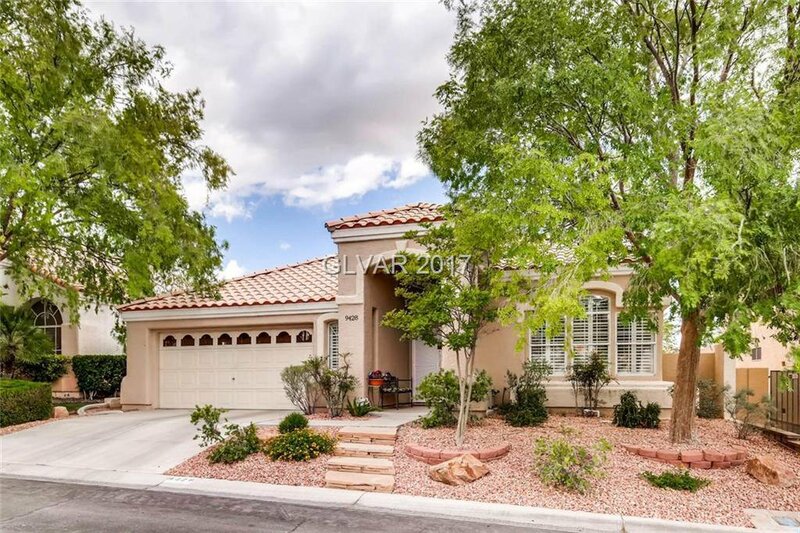 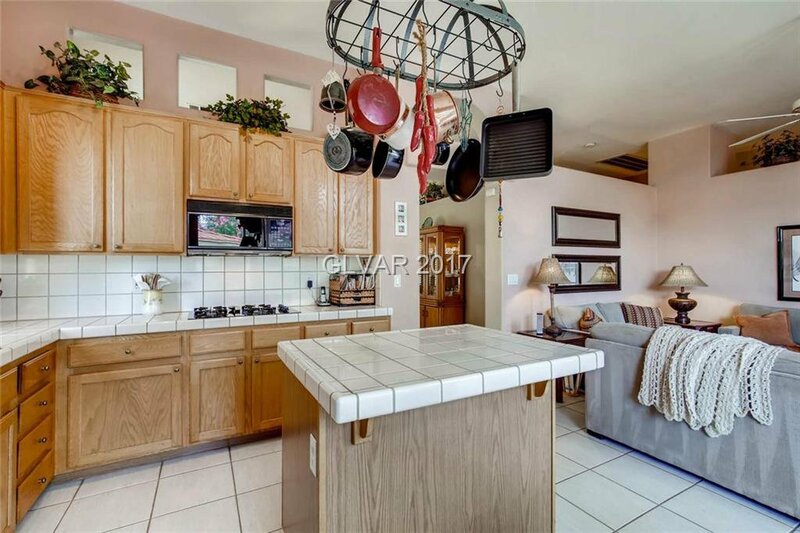 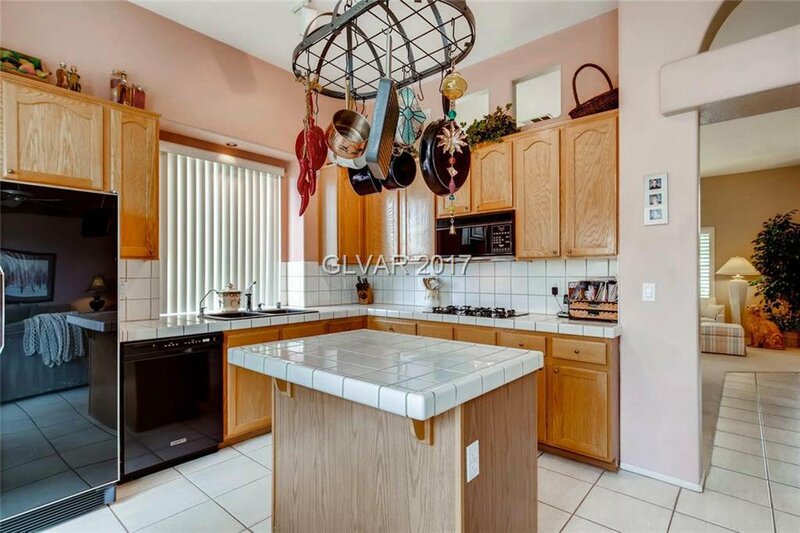 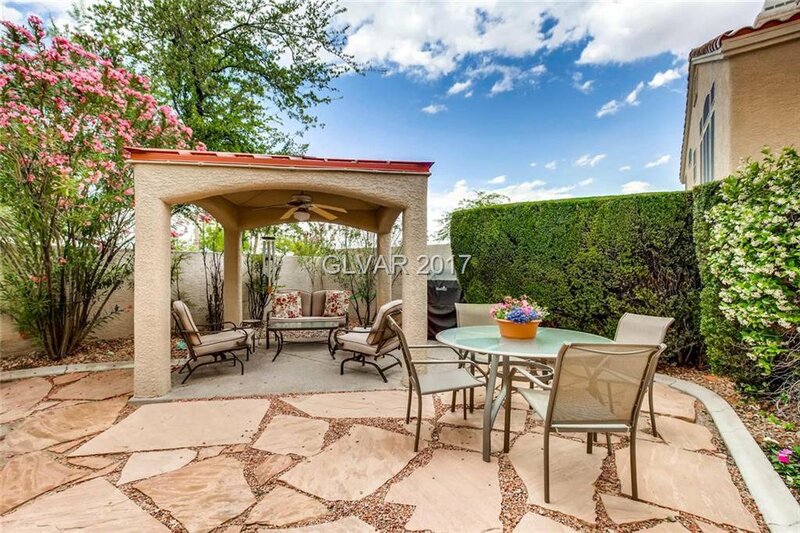 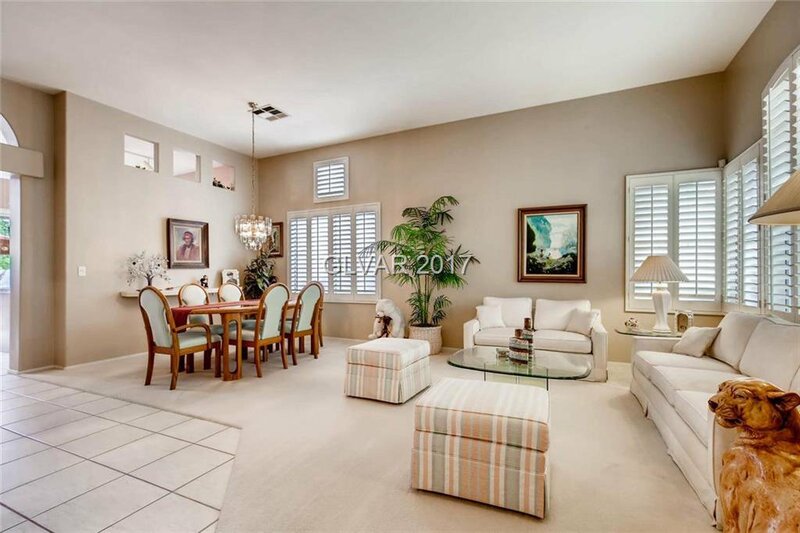 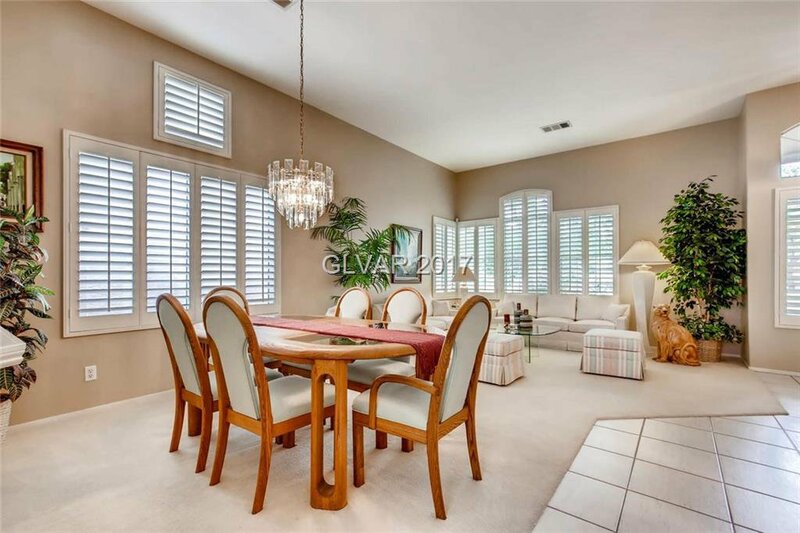 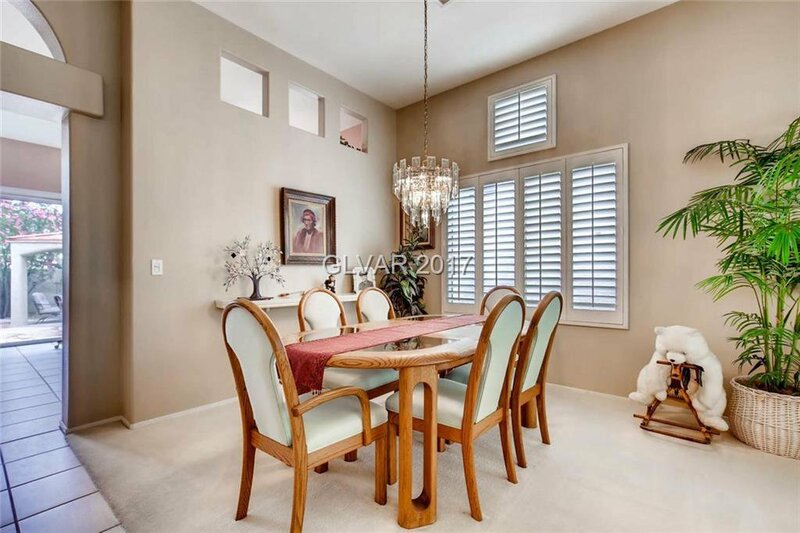 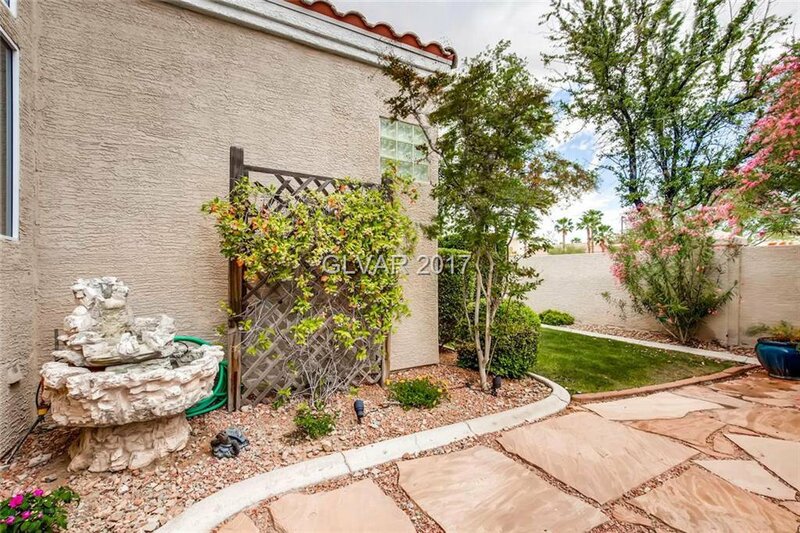 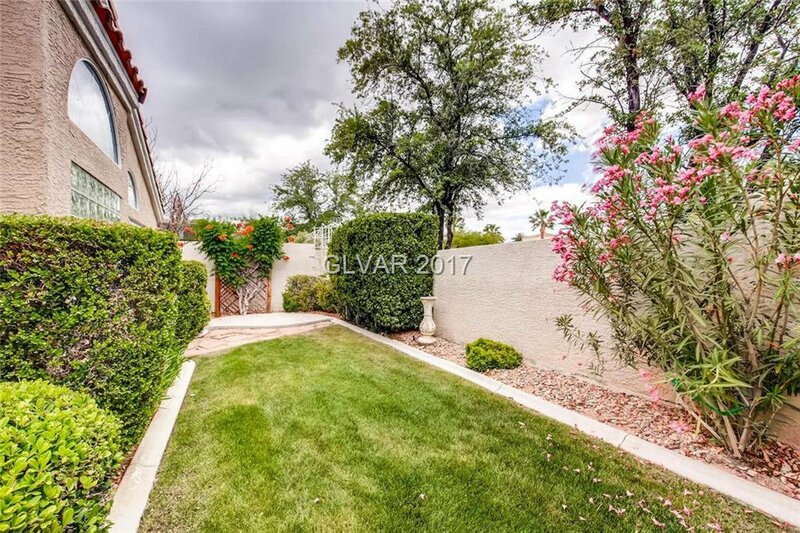 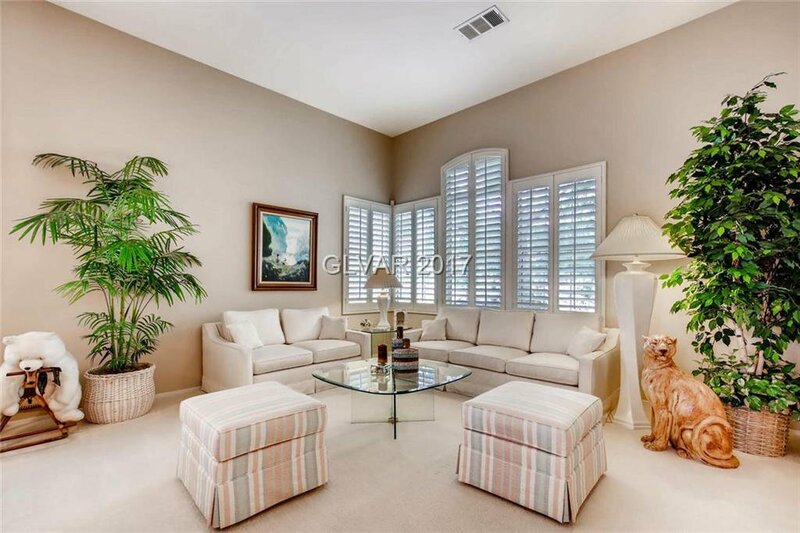 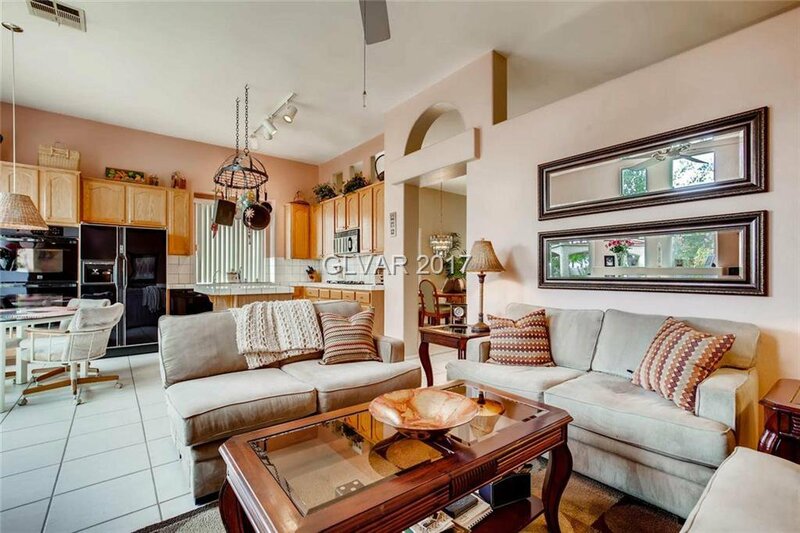 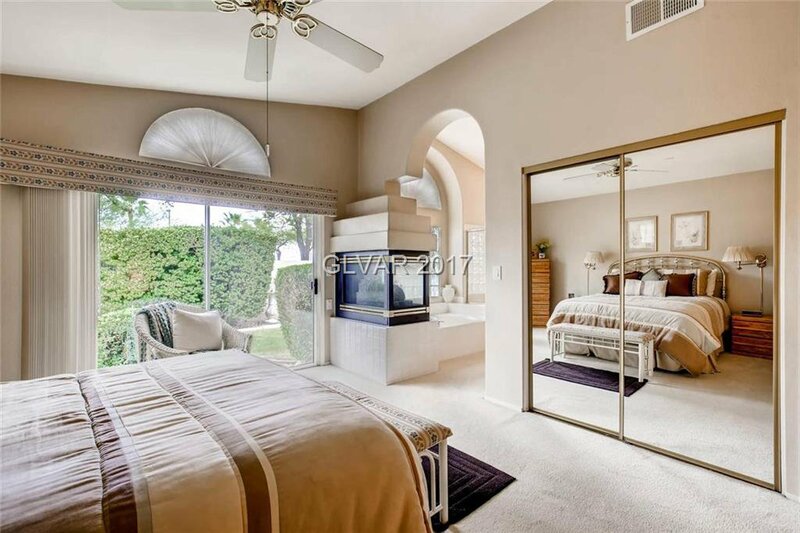 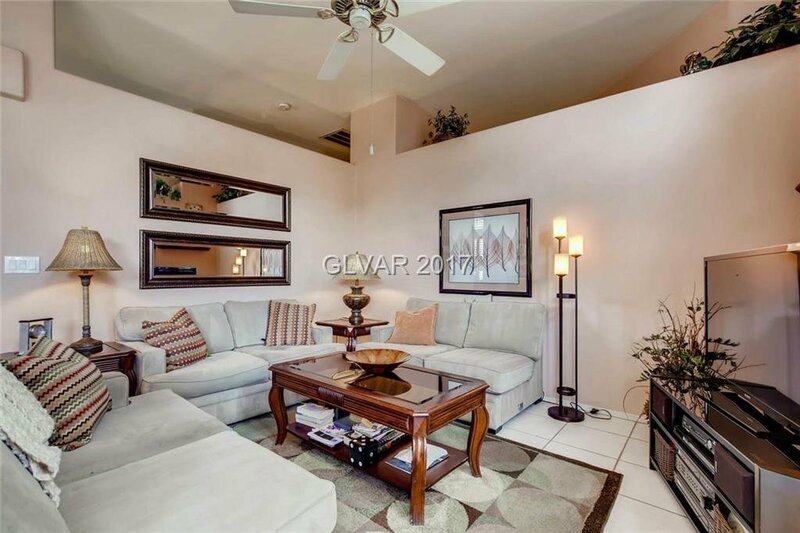 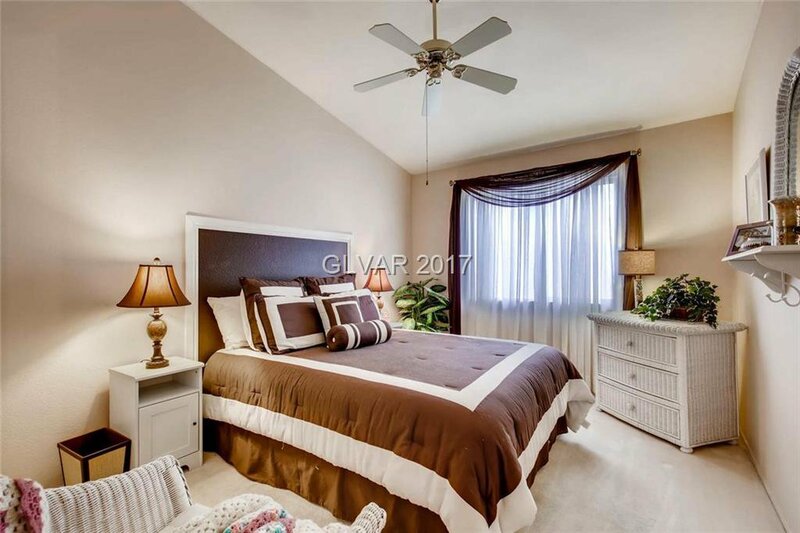 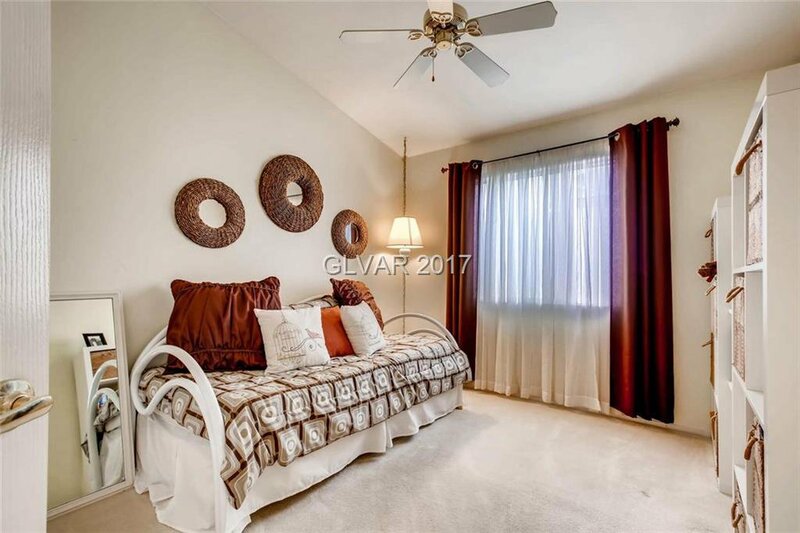 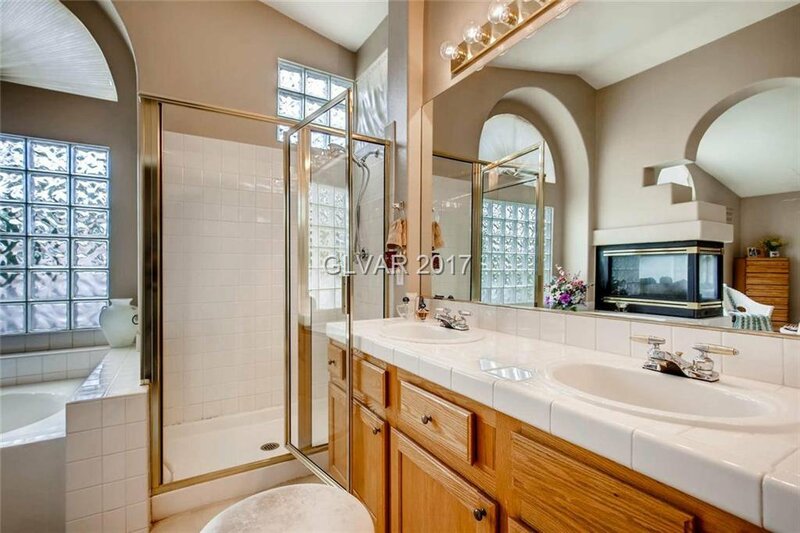 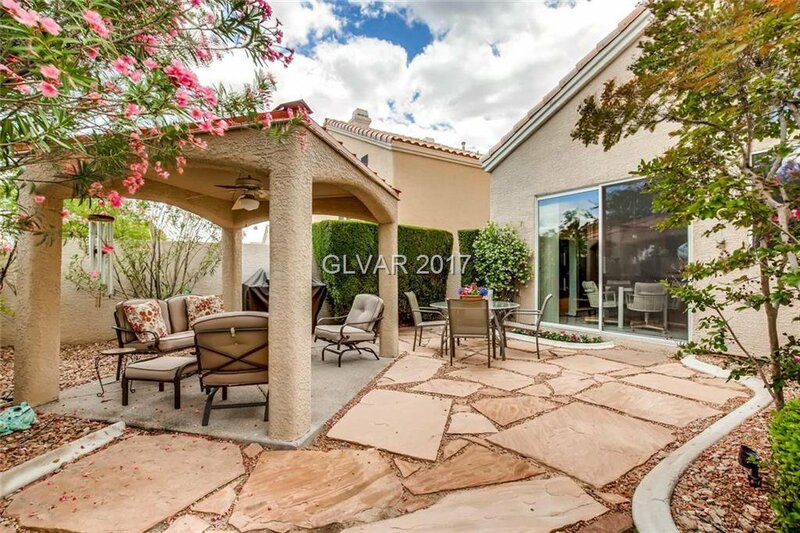 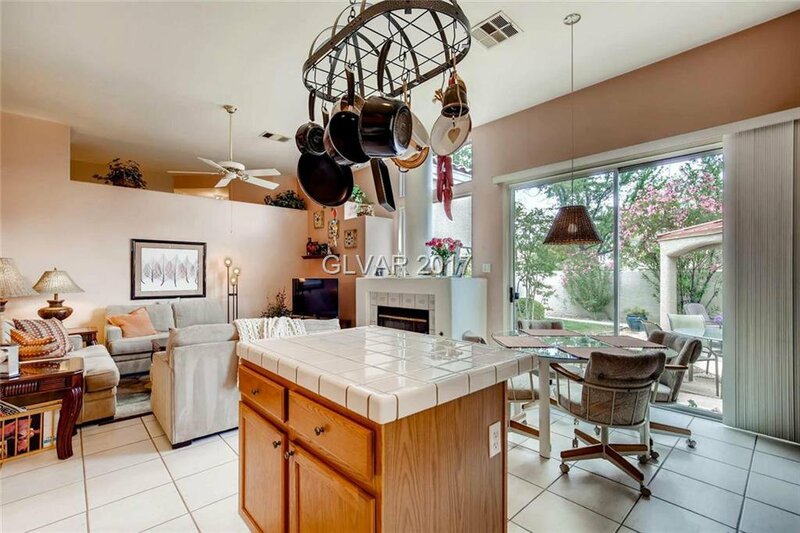 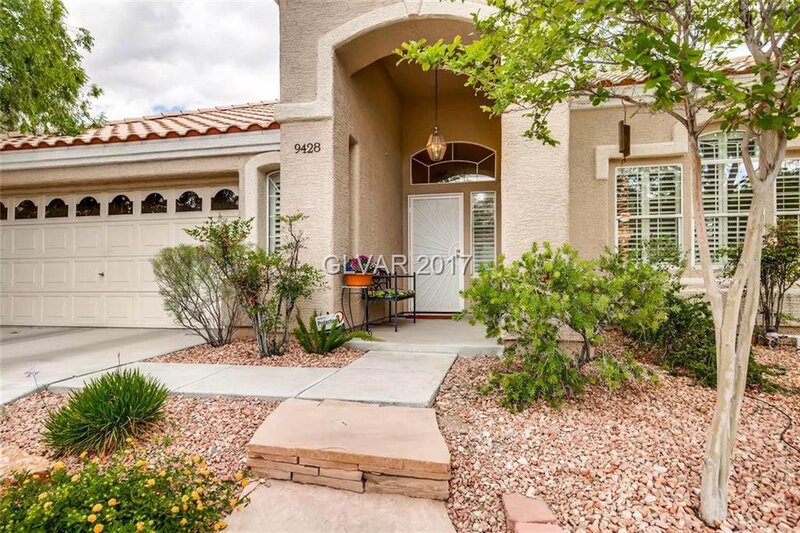 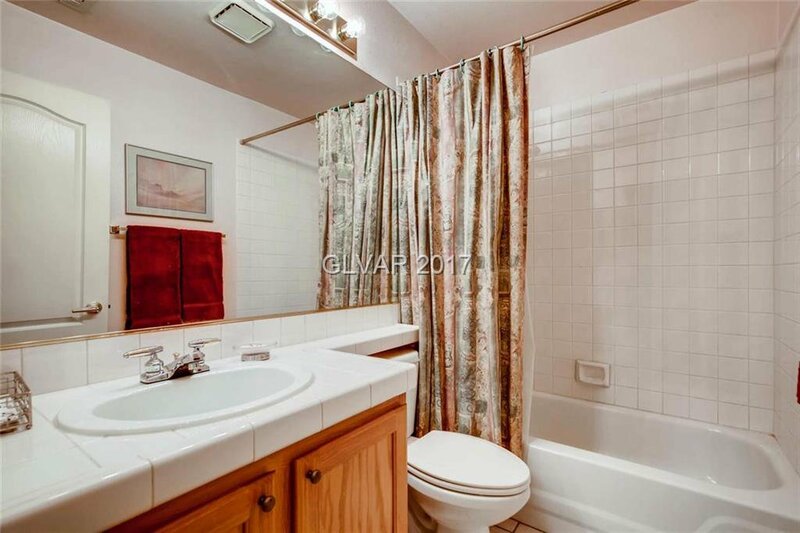 Adorable 1 story in Summerlin! 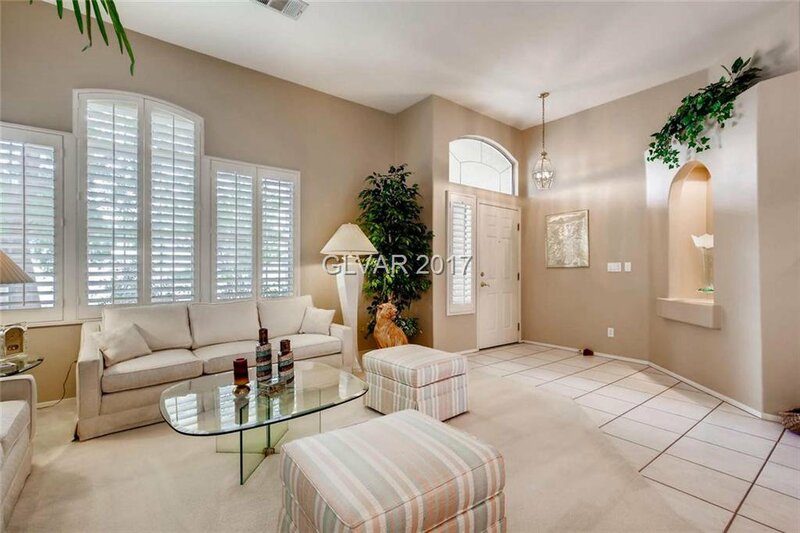 Features vaulted ceilings, formal dining & living room, family room w/ fireplace, kitchen w/ garden view & all appliances included, master bedroom w/ two way fireplace to bath & slider door to garden. 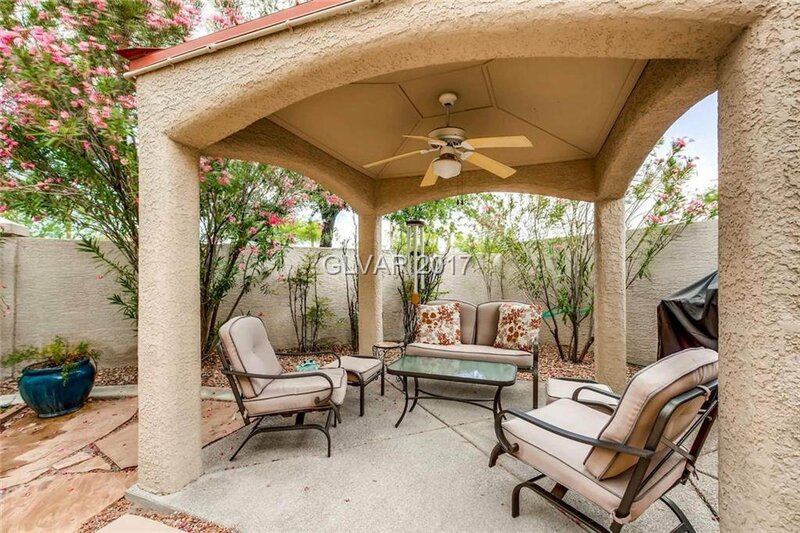 Back yard features gazebo, real grass lawn, & beautifully landscaped! 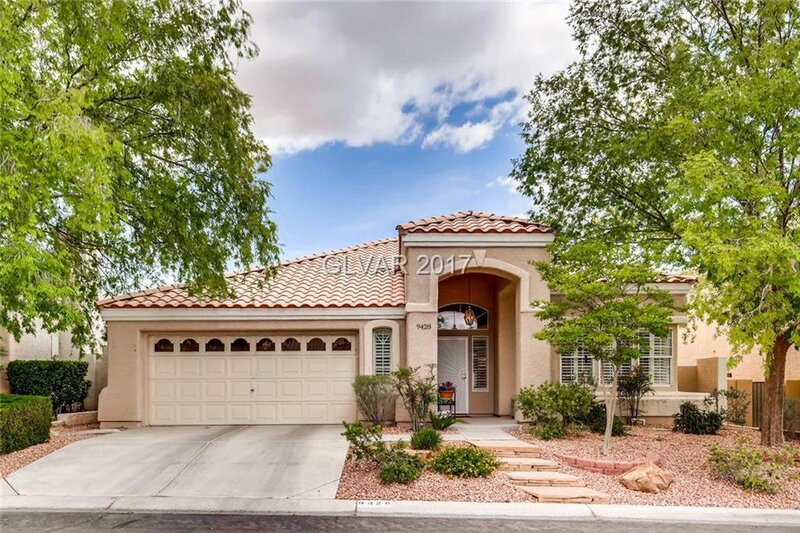 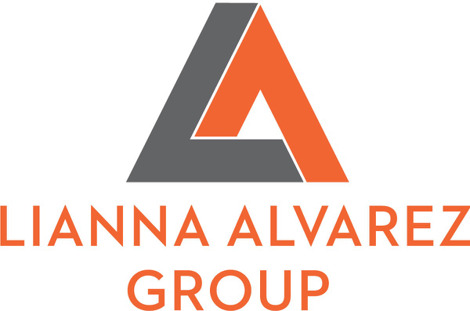 A Must See for Summerlin!